Venezuela is plunging deeper into a constitutional crisis as the Supreme Court of Justice declared that the National Assembly, where the Democratic Unity Roundtable (MUD) holds a super-majority as “void”. The country is locked in a stalemate between the three branches of government. The National Assembly session on Tuesday was suspended “pending further action” – amid claims that MUD legislators planned to declare an “economic state of emergency”. The political crisis following the sweeping election victory of the Democratic Unity Roundtable coalition in December 2015 is deepening and threatening to render the country ungovernable and plunge it into a recurrence of political violence. After more than a decade with a PSUV dominated National Assembly, Venezuelans gave the opposition Democratic Unity Roundtable a clear and unequivocal mandate. The MUD won 112 seats, including three indigenous seats, of the 167-seat legislative body . The Supreme Court of Justice explained its ruling, saying that the National Assembly is “void” because the legislative body violated a previous court order by swearing-in legislators who have been temporarily suspended pending an ongoing investigation. Following elections on December 6, 2015, the Supreme Court temporarily barred four legislators from Amazonas State due to alleged irregularities including alleged vote-buying. 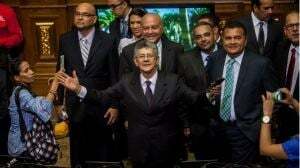 The new National Assembly President Ramos Allup, however, decided to ignore that the court had suspended the legislators and swore them in. The development has led to a constitutional crisis with a stalemate between the legislative, executive and judicial branches of government. The barring of the four legislators temporarily removed the MUD’s super-majority in the National Assembly. A development that is vehemently disputed by the MUD as an attempt to prevent the Assembly from making use of the mandate that the super-majority and the electoral mandate imply. The PSUV, Venezuela’s Communist Party, Unions and associated grassroots organizations fear that a National Assembly dominated by an MUD that can pass legislation virtually unopposed could endanger what is described as the progress made by the Bolivarian revolution. The Deputy leader of the United Socialist Party of Venezuela (PSUV) and former president of the National Assembly, Diosdado Cabello denounced the MUD legislators at the National Assembly of being in contempt of court. Cabello claimed that “the sane and democratic step” for the leadership of the National Assembly is to revoke the swearing-in of the suspended legislators. Tuesday’s session of the National Assembly was suspended “pending further action”. MUD legislators allegedly planned to present a motion that would declare the Latin American country as being in an “economic state of emergency”. The country has been strongly affected by the plummeting oil price. The PSUV responded to its crushing electoral defeat in December by calling for the establishment of “Street Parliaments” to defend the achievements of the Bolivarian Revolution. 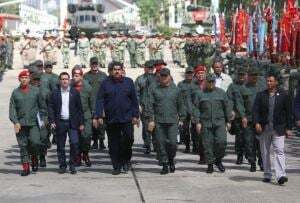 In mid-December 2015 President Nicolas Maduro revealed that members of the Bolivarian National Armed Forces (FANB) who are currently working in public administration positions will be required to leave their posts and return to their military units. Venezuela’s influential Catholic Church, for is part, declared that it supports the amnesty law that has been proposed by Borges and the MUD. The position of the Catholic Church in that regard was made public by Cardinal Urosa Sabino in mid-December 2015. It is noteworthy that the Catholic Church and its clergy has supported numerous Latin American right-wing, including dictatorial regimes. This includes the present Pope Francis whom most Argentinians remember as Cardinal Jorge Mario Bergoglio who hobnobbed with Argentina’s Junta, the USA and the CIA during Argentina’s so-called “Dirty War” as documented in an article entitled “Washington’s Pope”? Who is Pope Francis I? Cardinal Jorge Mario Bergoglio and Argentina’s “Dirty War” by Professor Michel Chossudovsky. 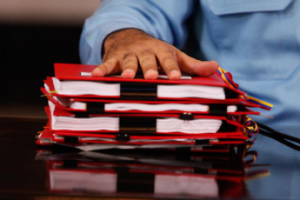 Also in mid-December Venezuela’s Communist Party (PCV) and Venezuelan Unions asked President Nicolas Maduro to sign a Worker’s Council Law before the new legislators begin working in their offices on January 6, 2016. Also in mid-December the outgoing National Assembly President Diosdado Cabello and PSUV legislators created what they described as a “National Communal Parliament“. Maduro’s deadline decrees have been praised by many PSUV supporters and criticized by the MUD as attempt to establish a parallel government. 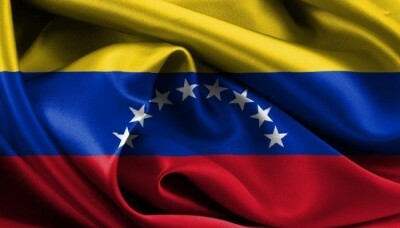 Many independent observers warned about the possible abuse of popular councils, street parliaments and other attempts by Venezuela’s PSUV to entrench itself after the electoral defeat in a way that could lead to rendering the economically stressed country ungovernable and plunge it into a serious crisis. The most recent development and the stalemate between the three branches of government substantiate such concerns.